Daniel is a practitioner of the ancient magical system known as The Runes. Rune Yoga was traditionally used within the Nordic and Indo-European peoples to help enliven the power of The Runes within their bodies. It is said that most souls are born with a guardian entity which protects and aids them on their journey. You may know it as the Valkyria, or Valkyrie. It often remains undeveloped or disconnected from our soul if not actively pursued and sought out. In Norse myth, our entire existence began with the polar forces of Fire and Ice. This duality gave birth to the first five elements of the worlds. Guided by music and using yoga and movement, you will journey through these elements. 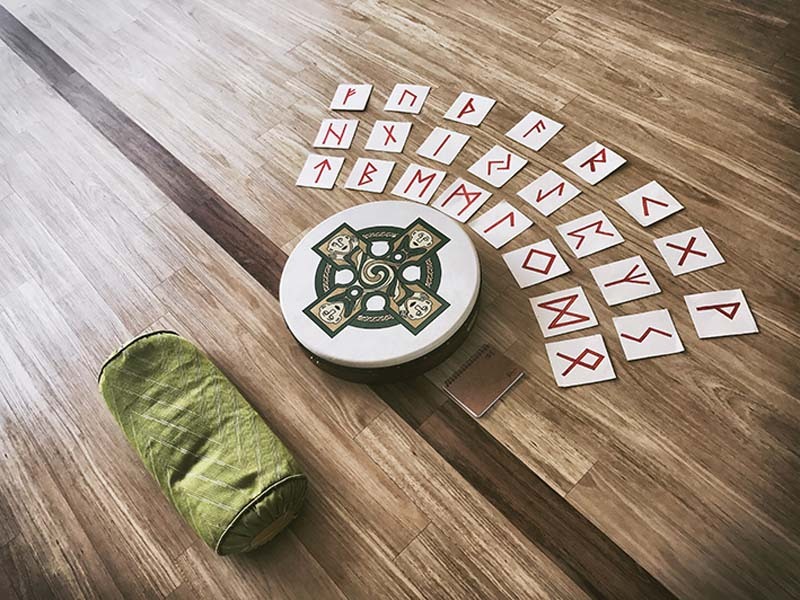 Runes are an ancient Nordic symbol system used for various magical purposes. The visual symbol is only a small part of the whole Rune, which is also expressed as sound, breath, movement, and yoga postures. The modern term ‘Weird’ stems from the Germanic/Old English word ‘Wyrd’, meaning ‘one’s destiny’. To be ‘Wyrd’ was to be of a divine spark destined for grand and magical deeds. Through Rune yoga and the powerful guided meditation know as the Frithgarth, we will journey into our own Wyrd.